Borussia Dortmund vs Bayern München – Saturday 19:30BT/20:30CET – Signal Iduna Park Dortmund. Borussia Dortmund vs Bayern München is quickly becoming the German equivalent to the El Clasico in Spain. In fact, the match is often wrongly referred to as the German Clasico by several media outlets. But given the frequency in which the two German giants meet each other, it could be explained why media outlets get this wrong. The DFL Supercup will be already the third meeting between the two sides in this calendar year after they met in the league and the DFB Pokal semi-final. Bayern won the first and Borussia Dortmund the second, which paved the way to the final in Berlin for die Schwarz-Gelben. Dortmund’s final victory over Eintracht Frankfurt in May qualified them for the Supercup final. The game on Saturday will be the seventh meeting between the two sides and Dortmund have a winning record having won four Supercup finals against Bayern. Given Bayern’s pre-season woes and the fact that Dortmund are playing at home die Schwarzgelben could be easily identified as the favourites on Saturday. Similar to Bayern. However, Dortmund have also struggled in their pre-season preparations. A 2-2 pre-season friendly draw was followed up with defeats to Espanyol Barcelona and Atlanta Bergamo. Both those matches, in particular, highlighted that Dortmund still need some time to adjust to new head coach Peter Bosz. The Dutch coach was brought in to replace Thomas Tuchel. Peter Bosz style was evident during Ajax Amsterdam’s run to the Europa League final last season. Playing 4-3-3 Bosz’s style is more open than Thomas Tuchel’s possession football, which has meant a difficult transition for some Dortmund players and also explains some of the stranger results in the pre-season. 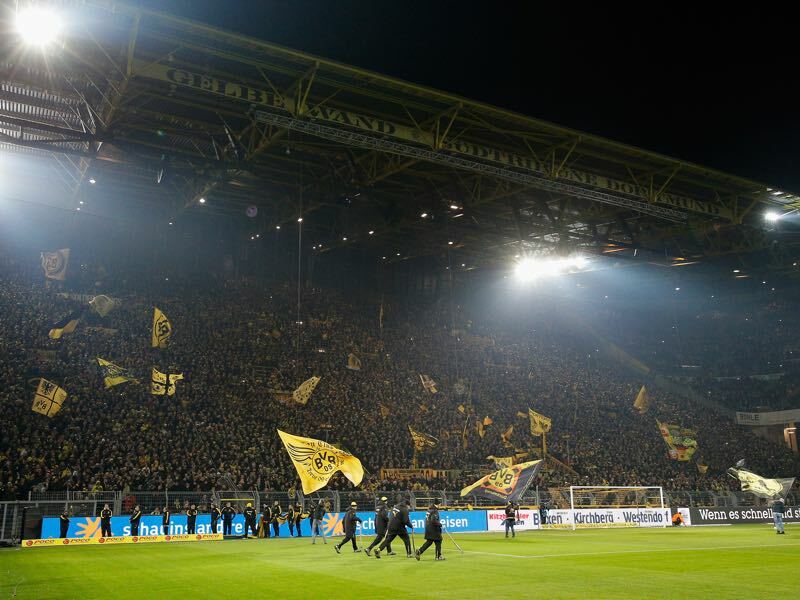 Regardless Dortmund have looked somewhat better than the Bavarians during the pre-season and playing at home at the Signal Iduna Park should give die Schwarz-Gelben a further advantage. Mario Götze is back after he missed six months with a metabolic disorder. Although Götze has recently admitted in an interview with the German kicker magazine that he is not cured of the disorder, but rather has managed to control it, he has looked increasingly like his former self during the pre-season preparations. 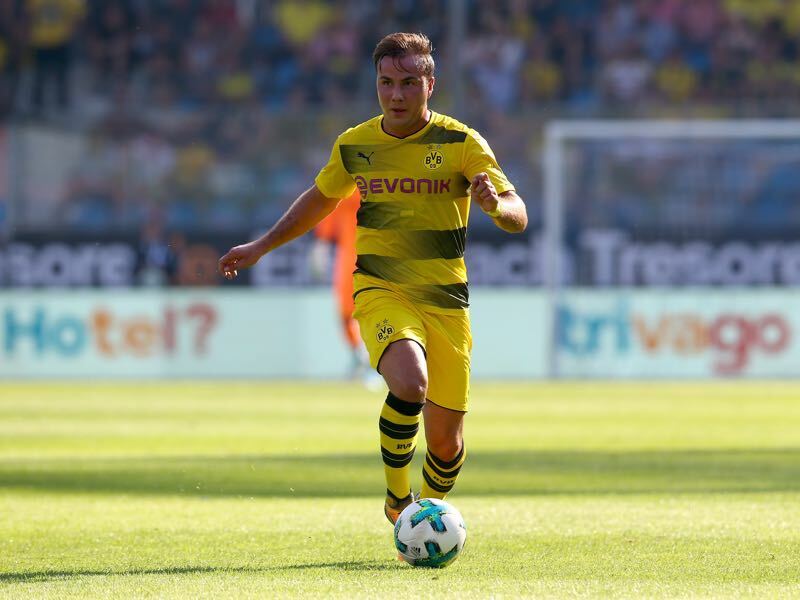 Playing 60 minutes against Atlanta Bergamo this week Götze appears almost like the young Mario Götze, who took the world by storm during his first stint with Borussia Dortmund. Ready to return to full-time duty Peter Bosz has big plans for the midfielder, who is supposed to become the central part of the Dutchman’s 4-3-3 formation. Bayern’s record signing Corentin Tolisso was more or less an unknown quantity for many German football fans. 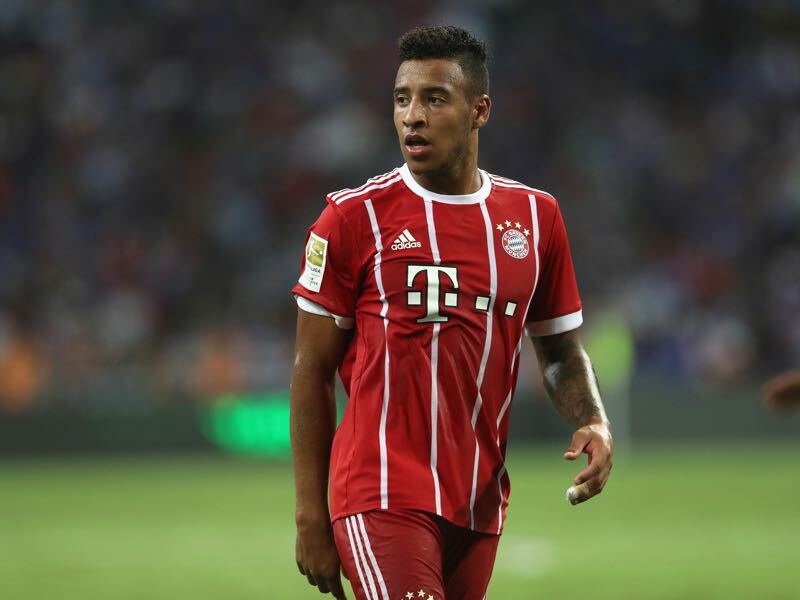 Signed for €41.5 million from Olympique Lyon this summer Tolisso is supposed to fill the role left by the retired Spanish midfielder Xabi Alonso. At the same time, Tolisso is a very different player than the Spanish maestro. An energetic and dynamic midfielder Tolisso is more of a box-to-box midfielder, who will solve problems in midfield by carrying the ball rather than looking for passing solutions as it was the case with Alonso. Borussia Dortmund and Bayern München have won the competition six times each. Bayern have played 12 times in the Supercup but lost six finals. Borussia Dortmund and Bayern played each three times last year. 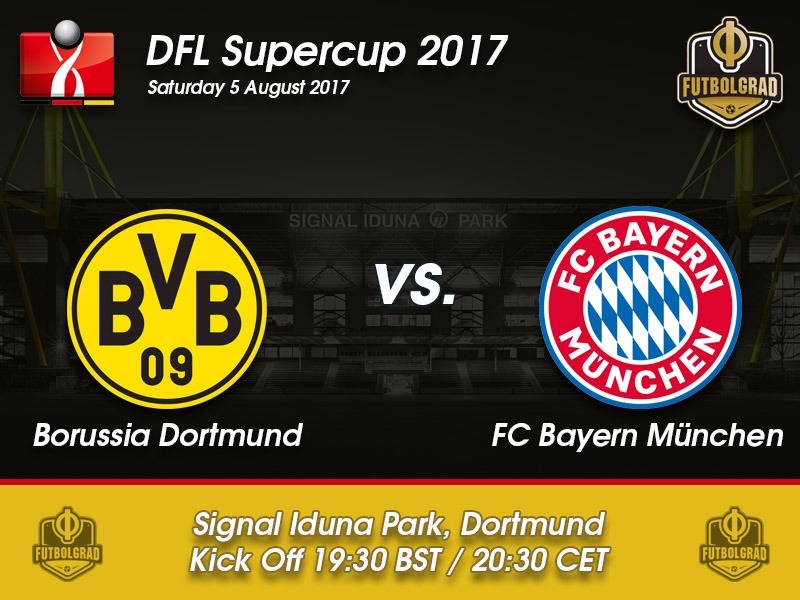 This is the fifth time the two teams meet each other in the Supercup since the DFL brought the competition back in 2010. This is the eighth time the two teams meet in this contest overall and Dortmund have a winning record (W4 L3). Pre-Season Problems – A Glitch or the Beginning of a Crisis for Bayern?